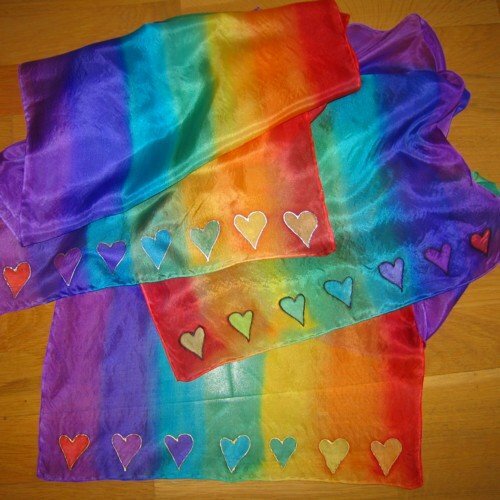 Chakra silk scarf hearts small is great for using in display in your treatment room. Also, it looks fab framed to brighten up any room at home. 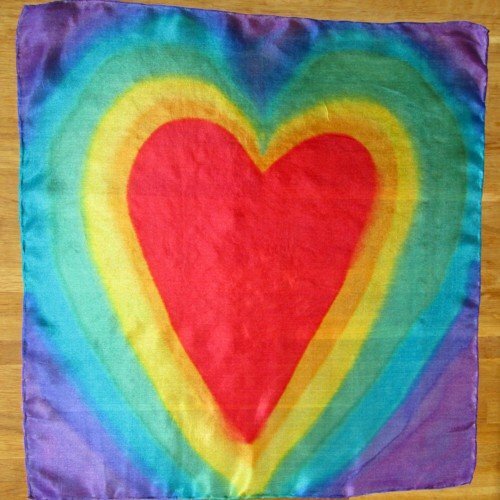 Because I hand paint each scarf, each “chakra silk scarf hearts small” will vary and be individual to you. 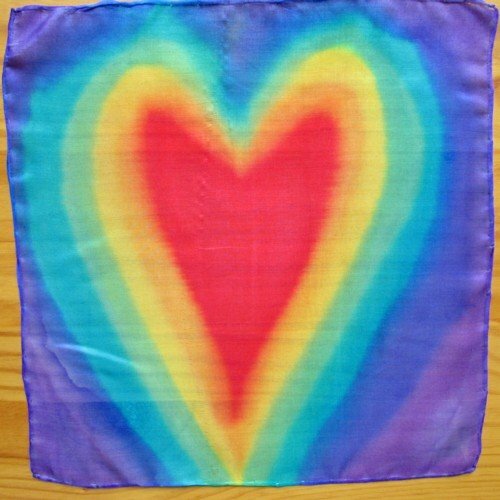 Each square includes the seven chakra colours, therefore corresponding to each of the seven main chakras. 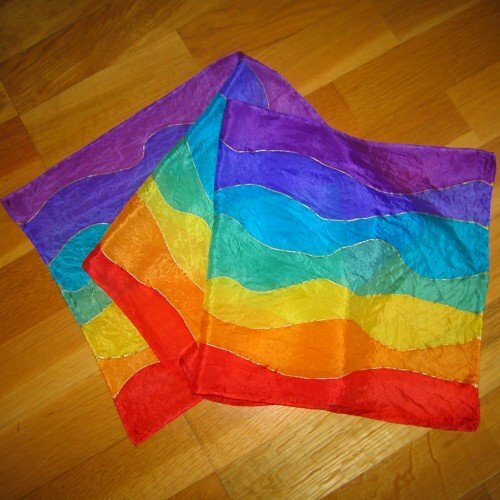 I use a lightweight, slightly shiny silk and as a result the chakra square has a super soft feel. 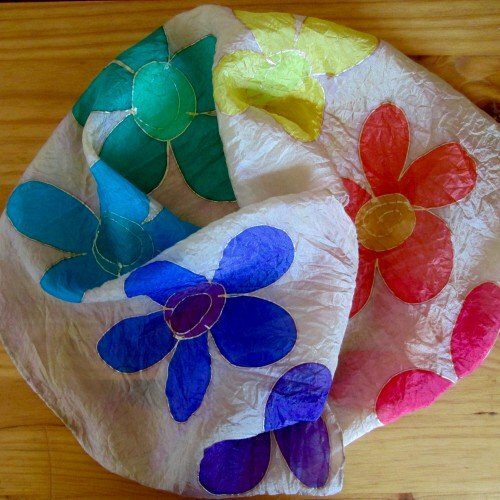 While this is small, each square has a lovely, happy feel and makes a great gift.